And just to make up for that last picture (and get back to normal), here’s one I dug out earlier. Apologies to all concerned - but I couldn't resist it. Anyway, I found this when looking for a more up to date picture of the young man with the tousled hair on the right, but is it really Prince William? Or is it a bleached Eddie Redmayne, or a junior version of Bungle from Rainbow? The picture was taken in 1996 when the young man was looking for some personal sponsorship for his season’s rallying campaign. 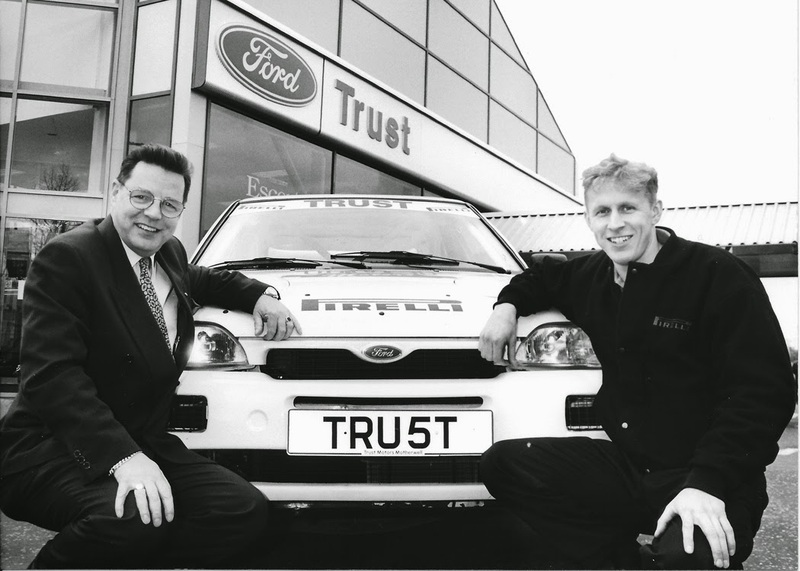 I don’t expect you to know the guy on the left, but Alan McLellan used to be the General Manager at Trust Motors in Motherwell. Oddly enough, a Ford dealer, in case you hadn’t guessed. Wonder whatever happened to the young chap – we’ll find out in May!